This post continues my series describing my visit to Washington D.C. and various institutions in the Smithsonian last week. This one will cover my visits to the American Indian Museum, the Freer Gallery of Art, and the National Zoo. I visited the American Indian Museum for the first time just a few months ago, so I was a little hesitant about going back so soon. However, I really loved it when I visited in April, so when I had a little time and was in the area I decided to go back. I’m delighted to say that the museum holds up even when visiting again so soon. It presents a lot of information for visitors, so in many ways it promotes repeat visits. I don’t think you can soak it all in one (or even two) visits. 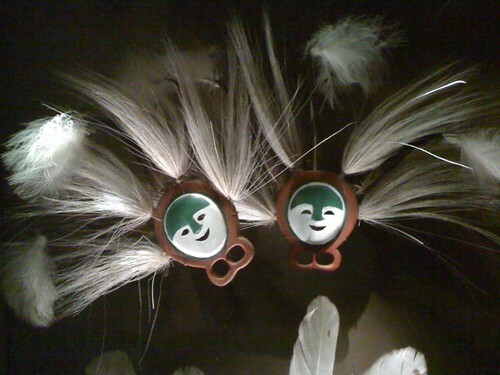 Part of series of decorations by the Yup'ik people. 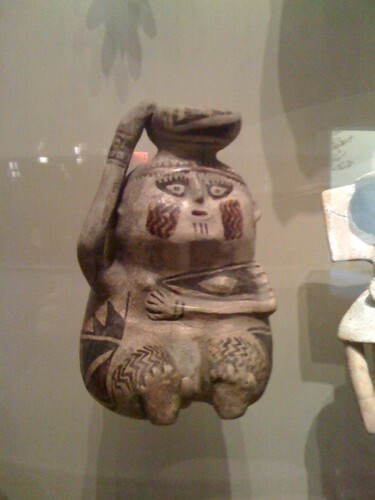 Another figure from the American Indian Museum. The one on the left is part of one of the exhibits in the Our Universes section of the museum. This section provides a lot of information about both similarities and differences in various native peoples’ belief systems. The figure on the right is one of many native works featured in the Our Peoples exhibit, which is largely focused on history. I was also very interested in two specific works, both of which confront the viewer with issues of how native art is displayed and presented in museums and in our larger culture. 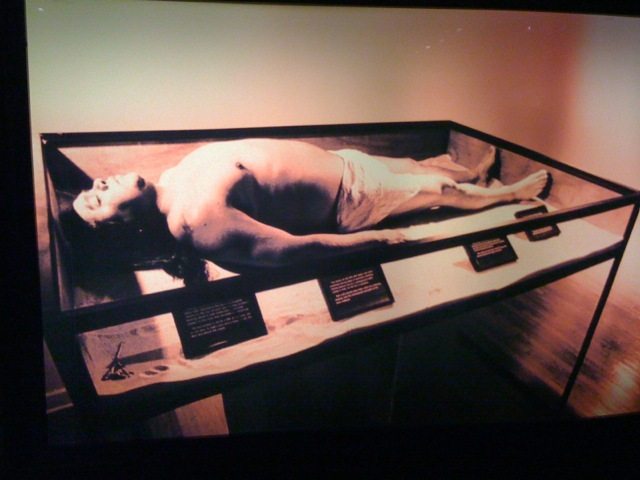 Both complicate the cultural status of native peoples in the U.S.
Luna uses labels to comment on the scars on his body. As the display description explains, nearby exhibits presented Luna’s personal effects, such as family photographs. It’s a really interesting piece; I wish I could see the original again. This work attempts to call into question the notion of identity for Native Americans. 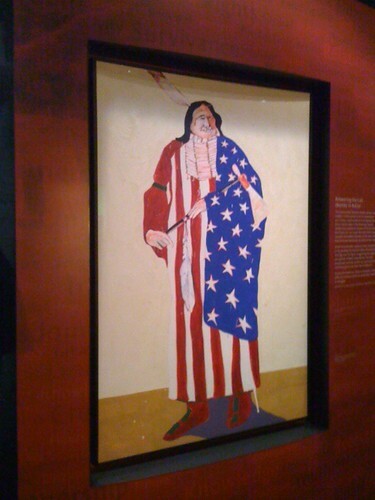 Several exhibits in the museum touch upon issues of the legal status and national identification of American Indians — are they U.S. citizens, are they citizens of nations within nations, or are they completely separate people from the U.S.? The painting works to capture some of that ambiguity and complexity. Overall, I loved visiting this museum again. It’s one of the best museums in the Smithsonian. This was my first visit to the Freer Gallery. It’s thematically and structurally connected to the Sackler Gallery, but since I visited them on different days I’m going to treat them as completely separate galleries for blogging purposes. I enjoyed the Freer. It’s perhaps the smallest of the museums/galleries I visited. It also had the fewest works on display. It focuses on Asian art. These images are the guardians of the four directions, and would have been placed within a temple sanctuary protecting one or more centralized Buddhist images. They were created and positioned to be viewed frontally as a logical and dynamic composition. 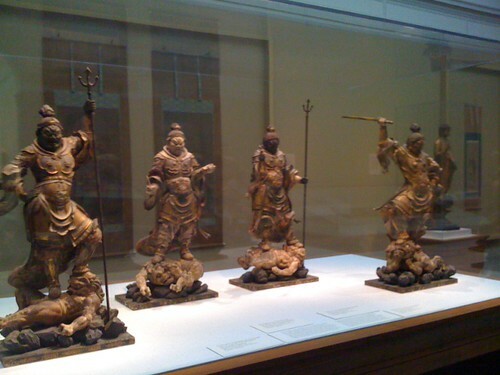 … Each figure stands on a writhing demon, symbolizing dominance over any enemies of Buddhism. It goes on to state that the figures are reproduced in larger and smaller sizes. The level of detail on these figures was fascinating, and they reminded me of the Asian warrior movies that I love (though most of those are Chinese). 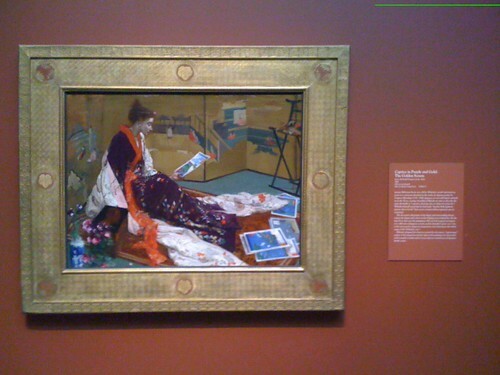 I like this painting, though I also thought the Whistler exhibit as a whole suggested that the gallery didn’t have enough Asian work to display — or, if you’re going to display Western paintings influenced by or about Asia, why not include a larger number of artists? Overall, I enjoyed the Freer. It’s a little small, but there’s room to grow, I think. Before this trip I wasn’t aware of the fact that the National Zoo was part of the Smithsonian. During our last day in D.C. PJ had finished his work at the Library of Congress, so he wanted to see some sites. Since I had been to most of the museums on the Mall, we decided to spend the morning at the zoo. Zoos are very complicated places, I think. On the one hand, they bring back wonderful childhood memories. I remember when my mom and some other family members and I traveled to the Cincinnati Zoo when I was young. We also frequently visited the Indianapolis zoo from time to time. I loved zoos so much that, when I was in middle school, I wanted to become a zoological architect, designing zoos that reproduced animals’ natural environment as much as possible. 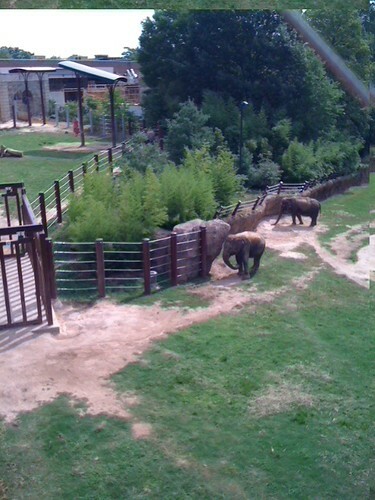 These elephants have lots of room to move around. These lions also have a lot room compared to other animals. But many (most) animals simply down have this room to move around. I couldn’t help but wonder how utterly boring their lives must be. The primates in particular looked bored. And I felt bad for many of the birds — there’s simply not enough room for them to be able to fly around. That’s not to say that the zoo isn’t trying. It’s remodeling the elephant exhibit. And it has an overhead area that goes through a substantial part of the zoo on which the orangutans can climb and play when the weather’s right. 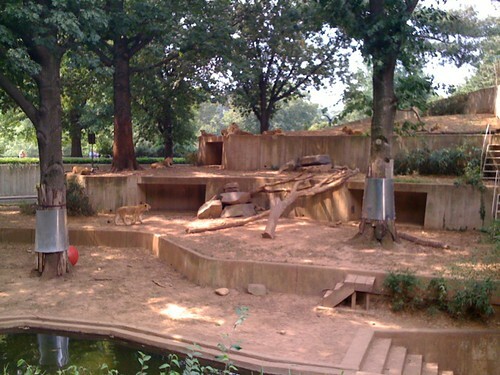 Furthermore, I assume it must be incredibly costly to remodel zoos and to give the animals more room and things to do. I also assume that funding such renovations isn’t high on the government’s list of priorities. And finally, how to you continue to display the animals so that people can see them if you make their habits as natural as possible. Tigers, for example, want to be camouflaged in the wild. If zoos reproduced their natural environment, visitors would be disappointed. It’s a difficult set of issues to wade through. I enjoyed my visit to the National Zoo, but I also left feeling very mixed about how this and other zoos function and survive. I wish I could be on a zoo’s board of directors! Tomorrow I’ll blog about three more parts of the Smithsonian: the Natural History Museum, the Renwick Gallery, and the Sackler Gallery.